Headed up by Xray importer Antonio Caroli, the track is situated 280km South West of Johannesburg, and on the mostly highway route it is around a 2 hour 45 minute drive from OR Thambo International airport. A gold mining city, Welkom is no stranger to international events and visitors as the local full size race circuit of Phakisa hosted MotoGP from 1999 to 2004. 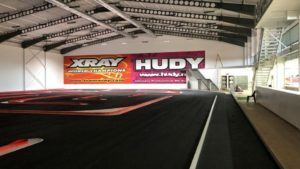 The facility has recently been upgraded with a brand new indoor asphalt track where the 2018 IFMAR World Championship will be hosted. It has further also been extended with an outdoor offroad dirt track. Other amenities include a massive pitting area with large pit tables and power outlets for each table, a fully stocked hobby shop, spectator area and restaurant. 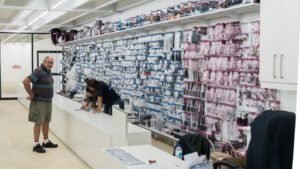 Welkom RC Club is a one-stop RC destination, or as the local RC racers call it – “RC Paradise”. The indoor asphalt track is fast and technical and the traction is always excellent due to the dust-free, enclosed environment. Pit tables and chairs comes standard with a dedicated power socket for each pit spot. The second floor of the facilities has a dedicated spectator area that also offers a professionally catered restaurant and bar. The facilities are locked securely at night so equipment can be left overnight – no need to ever pack away – or leave for that matter! 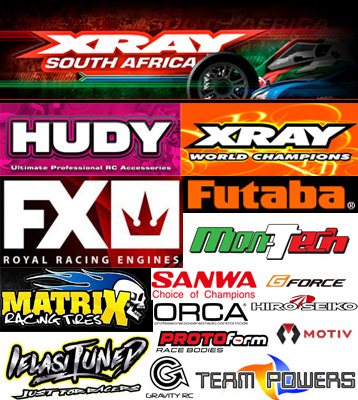 Xray SA is the South African distributor for Xray and the Welkom based facilities hosts a fully stocked, on-site RC shop covering a range of RC disciplines – whether on-road or off-road, electric or gas. The shop is also open for online orders and offers door-to-door delivery. Welkom is host to a great number of elegant and comfortable guest houses. The following is a select few of the local guest houses. Visit Sleeping-out.co.za to find other guest houses in the area.